Yoga is the oldest known system of personal development encompassing body, mind and spirit. 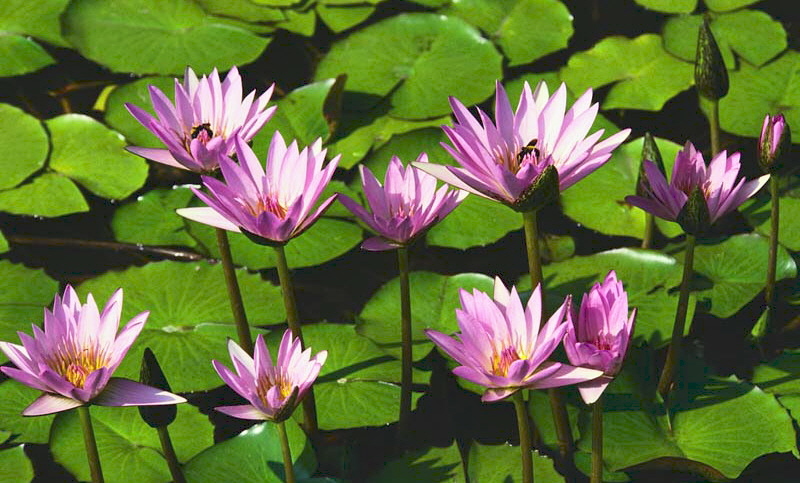 It was developed by Indian sages over 5,000 years ago and has been modified through the generations. Yoga is a dynamic system of physical and mental exercise and a valuable philosophy to apply to everyday life. The ultimate goal of yoga philosophy is complete detachment from reality, as we understand it, and complete self knowledge or Samadhi. Only by separating ¡¥self¡¦ from our environment can we come to terms with individual personality and start putting the mind and emotions in order. This lack of self knowledge is thought to be the fundamental cause of many emotional and nervous problems. Yoga enables us to live our lives at a higher and more fulfilling level. The word YOGA comes from the Sanskrit language "yuj" and means union. In the context of yoga philosophy it means the union between the body and the mind. There are various Yoga systems but the goal is always the same, which as we have said, is perfect self knowledge. Yoga is a science, which has its basis in ancient Indian philosophy. It is also a way of life, an integrated system of education for body, mind and spirit. Since yoga deals with universal truths, its teachings are as valid today as they were in ancient times, with its holistic understanding of the individual in the macrocoscm, it has become highly relevant in modern day, fast paced living. The secret of yoga is the achievement of a sense of balance and control. It develops stamina, balances the breath, calms the mind, stabilises and controls the emotions to bring inner equilibrium and happiness. Yoga has also been described as wisdom in work or spiritual living among activities, harmony and moderation. It is a practical aid, not a religion, and its techniques may be employed by Buddhists, Jews, Christians, Hindus, Muslims or atheists ¡V in fact, by anyone, regardless of their beliefs. Karma Yoga ¡V union through service or action. Bhakti Yoga ¡V union by love by chanting, prayer and repetition of mantras which can channel emotional energy into devotion. 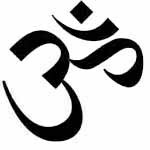 (sounds Om or Aum) the sacred symbol which represents the Supreme Being or Absolute, also the sound of the universe, is the principal mantra. Jnana Yoga - union through knowledge. The yoga of knowledge or wisdom is the most difficult path, requiring tremendous strength of will and intellect. Raja Yoga - union by mental control through mastery of the mind and senses. Hatha Yoga is one form of Raja Yoga that concentrates on asanas (postures), pranayamas (breathing techniques for maintaining and channelling energy), bandhas (contractions that prevent dissipation of energy) and kriyas (cleansing processes using water and cloths). The word HATHA is made up of HA meaning sun and THA meaning moon ¡V a pair of mutually dependent opposites common in nature. Other examples are night and day, yin and yang, summer and winter. To ensure perfect health, we need to balance the Ha and Tha, the yin and yang, through the practice of yoga. The body is enlivened by positive and negative currents and when these are in complete equilibrium we enjoy perfect health. Asana ¡V means a steady and comfortable posture. Pranayama - breath control and manipulation of energy. Dharana - concentration of the mind on a particular point of object. Dhyana ¡V meditation. An unbroken flow of thought towards God. Pratyahara - sensory withdrawal from the external world into the interior. It is considered to be the bridge between external and internal yoga. Samadhi (Superconscious state) ¡V this is a state where the body and senses are at rest, as if in sleep, and the mind and the reason alert, as if awake.